The album features several tracks from previously released projects Legacy...Hymns & Faith and Rock of Ages...Hymns & Faith which have been hugely popular. Be Still and Know...Hymns & Faith includes two newly recorded songs produced by Vince Gill: "Power In The Blood" and "Be Still and Know"
As a teenager nearly 30 years ago, Amy Grant began embracing fans with a heartfelt singer-songwriter style mixing elements of pop, folk, and country. As Contemporary Christian music's first major crossover success, she has earned three multi-platinum albums, six platinum albums and four gold albums. She's scored ten Top 40 pop singles and seventeen Top 40 Adult Contemporary tracks as well as a string of Contemporary Christian chart-toppers while winning six GRAMMY? Awards and numerous Dove Awards. 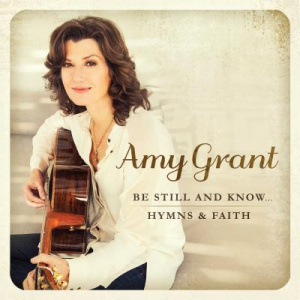 Be Still And Know...Hymns & Faith CD by Amy Grant was published by Integrity in April 2015 and is our 1619th best seller. The ISBN for Be Still And Know...Hymns & Faith CD is 0602547013026. Be the first to review Be Still And Know...Hymns & Faith CD! Got a question? No problem! Just click here to ask us about Be Still And Know...Hymns & Faith CD.